Swedish networking giant Ericsson has made no attempt to hide the fact that it needs to diversify in order to survive and the nature of that diversification just got a bit clearer. In his exclusive interview with Telecoms.com late last year CEO Hans Vestberg detailed the five main areas of diversification his company has identified: IP networks, Cloud, OSS/BSS, TV & Media and Industry & Society. Ericsson has spoken freely about the first four but has chosen to keep quiet about its industry & society initiative until it was ready. 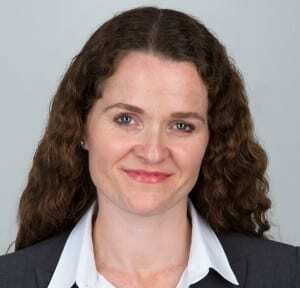 That moment has now arrived, so Telecoms.com spoke to Nadine Allen (pictured), who heads up Industry & Society for Ericsson in Western and Central Europe. She explained that Ericsson sees a massive opportunity in helping other industries to capitalize on the way the telecoms and IT industries are evolving and converging, with IoT being a prime example. 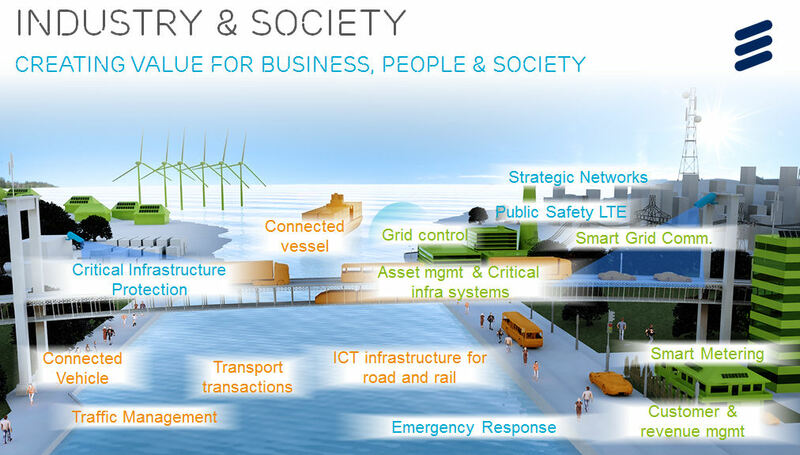 Ericsson has identified five key industries to focus on: Automotive, Energy & Utilities, Road & Rail, Safety & Security and Shipping. As you can see these are mainly quite industrial sectors, and this is in keeping with how things like IoT are evolving, with the main commercial applications being of a B2B type. “Ericsson has been a transformation partner to our customers for many decades and supported them in shaping their strategies,” said Allen. “This is a key strength relevant to customers inside and outside the telco space as they develop their connected strategies. Allen brought our attention to some specific use-cases, illustrated in the slide below. In utilities, for example, things like smart grids and smart metering are already emerging as a way to increase efficiency, while intelligent transport systems are doing the same for that sector. All of this makes a lot of sense on paper, and Ericsson unquestionably has a lot of tools at its disposal to help industries get smarter, but combining these capabilities into coherent solutions and competing against companies such as the big systems integration and consulting firms will be a challenge. The Ericsson brand is strong in telcos, but not necessarily in transport, and it still needs to establish its consulting credentials beyond its home territory. To conclude we asked Allen how she sees these underlying trends evolving. We believe the Internet of Things will have a profound impact in the future, enabling anything to be connected and providing ’smartness’ to these connected things will bring value across many sectors,” she said.